The 'Swan', designed and built by Anthony Heywood in 2005. 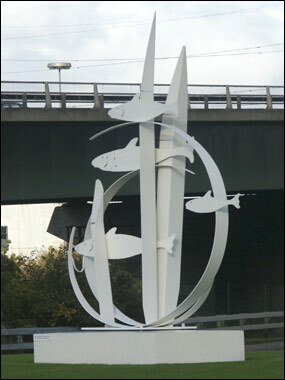 Sculpture at Thames Gateway, very close to the Dartford Bridge crossing the Thames. 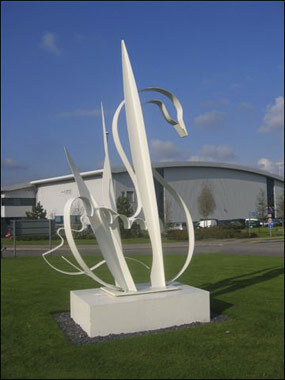 Part of the same commission as the 'Swan', designed and built by the same artist. Steel galvanised by Medway Galvanisers. 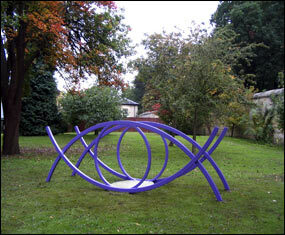 The sculpture is 5m tall, and was powder coated in one piece. Commissioned by Wameford Hospital, Oxford. Designed by Victoria Rance, London. The work measures 3mx1mx1m, and is made out of rolled box section to simulate an eye.